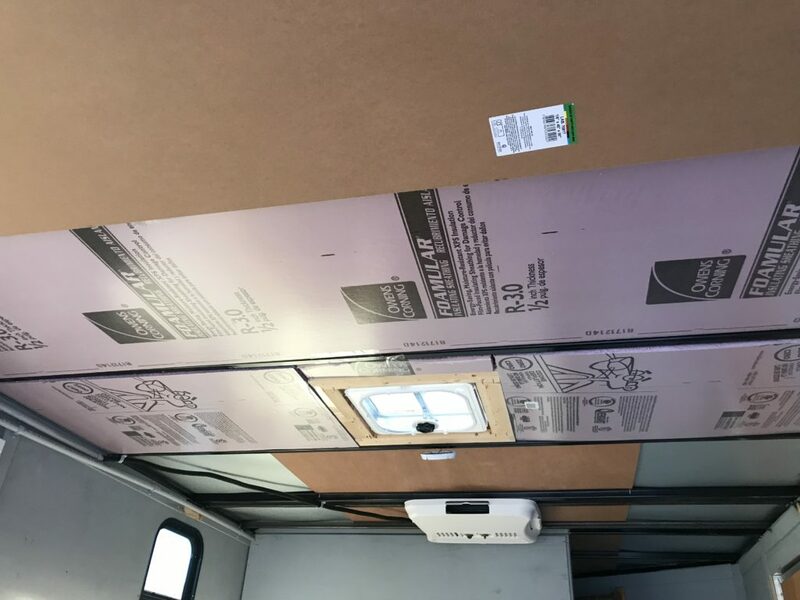 After taking a trip in the trailer this winter I decided it would be beneficial to insulate the roof, and put in a thin ceiling. However my friend and I chose a very poor paneling to hold in the insulation, and we did not tighten down the A/C tight enough. After just a couple of days a minor leak had completely ruined the ceiling paneling we installed, and had to cut the power cable to A/C to “complete” the project which left me without air conditioning from February to April. 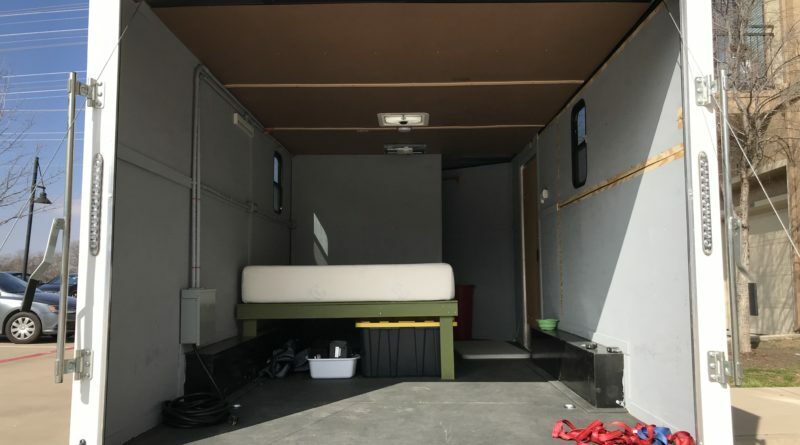 This was not a big deal in Texas where the weather is pretty nice that time of year so I did use the trailer a couple of times those months, but with the heat of summer quickly approaching we installed a new power cable to A/C that I’ll be testing out this weekend. The project was not too difficult with a jigsaw. I would estimate had we taken the time to complete the entire project with slightly better quality plywood it would have taken about 12 hours. 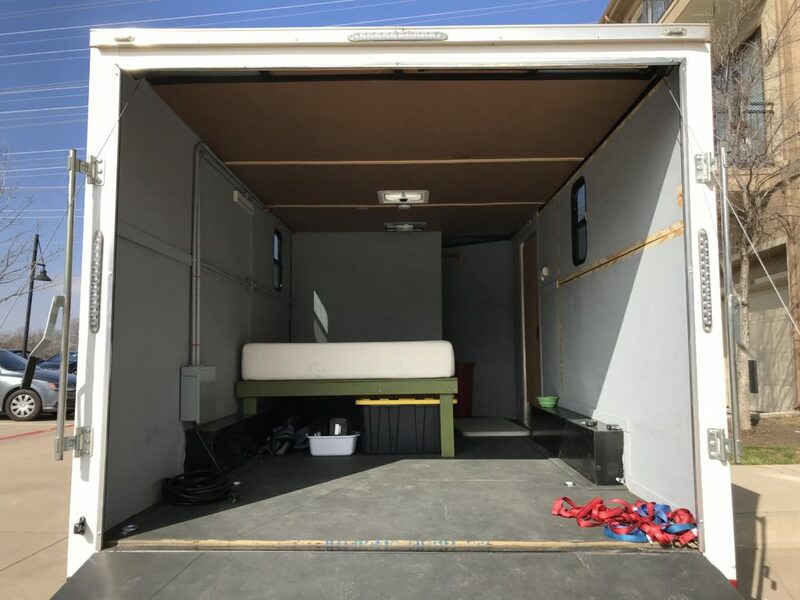 I have since decided to not take on this project again, and I’ll be just using a little more energy to heat and cool my trailer going forward. Here are some pictures of the ceiling installed that was torn out a couple days later.